I like it. Well articulated. The gate of the beginning. Lovely poem Susan, perfect to read on a Sunday here where we finally have some rain. 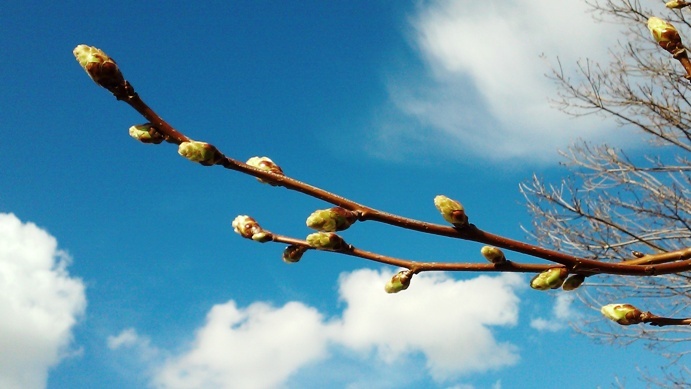 That beautiful picture – at first I thought it was pussywillow but buds and clouds against a blue sky are just as refreshing and calming.